After weeks of speculation, NDP Leader Rachel Notley has made it official: it’s election time in Alberta. 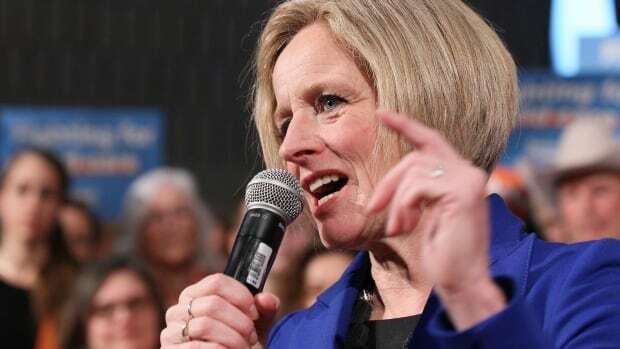 The provincial vote will take place on April 16, she announced Tuesday morning in Calgary. The start of the campaign comes one day after the governing NDP delivered its throne speech in the legislature and amid a near-constant stream of controversies in recent days involving the party’s main rival, the United Conservative Party led by Jason Kenney. Notley focused her attention on those controversies as she called the election before a cheering crowd at the National Music Centre in Calgary, saying she hopes to earn the support of disaffected conservatives. “A growing number of conservatives here in Calgary and across Alberta are coming to have serious doubts about Jason Kenney as premier,” she said. She used those controversies as a means to draw a hard line between her party and the UCP. “The politics of love and hope and optimism always trump the politics of anger, division and fear, and that’s why I’m running to be premier,” she said. Kenney has been weathering controversy over allegations that his campaign collaborated with that of fellow candidate Jeff Callaway in the party’s leadership race. CBC News broke the story last weekend after obtaining documents that show top Kenney campaign staff were in frequent contact with the Callaway campaign, providing Kenney’s purported rival with resources including strategic political direction, media and debate talking points, speeches, videos, and attack advertisements — all aimed at undermining Kenney’s main political rival, Brian Jean. Notley also focused on the role that a re-elected NDP government would play in what she characterized as a more inclusive province — from rights to incomes. The UCP has also been busy making policy announcements in anticipation of the election call, including corporate tax breaks, different minimum wage levels based on experience and age, and a promise to undo some of the NDP’s signature bills, including the controversial carbon tax. The election isn’t just about two parties going head to head, however. The Alberta Party, led by former PC cabinet minister Stephen Mandel, is largely perceived as the third party in the race, followed by the Alberta Liberals. On the right, ousted conservative MLA Derek Fildebrandt will go into the election as the head of the Freedom Conservative Party. Under provincial legislation, the vote had to be held before May 31 and have a 28-day campaign. A new session of the legislature began Monday with a throne speech that focused on the NDP government’s accomplishments in the last four years — from building schools, roads and hospitals to providing more supports for seniors, students and those in need. The United Conservative Party was Kenney’s answer to uniting the right, and was established in July 2017 by merging the Progressive Conservative Association of Alberta and the Wildrose Party. Here’s how the 87 seats in Alberta’s legislature break down by party as of the election call. The three independent MLAs are Prab Gill, Robyn Luff,and Rick Strankman, and the vacant seat was occupied by former Calgary-Varsity MLA Stephanie McLean until her January resignation.